You messed with the wrong crowd, Soho House! Ties all UP in your face. Maybe even a pair of cufflinks! You scared? Soho House, the private members club that is famously resistant to financial professionals, faced an equally frosty reception from fixed income investors this week. The private equity backed UK firm had to pull a planned £200m high-yield bond after investors baulked at the company&apos;s high leverage and limited free cashflow. The London investor meetings took place in Shoreditch House, a venue which bond experts might ordinarily struggle to gain access to. "There is no strict anti-banker policy but our clubs are very much rooted in the creative industries," a Soho House spokesperson told Reuters in 2011. 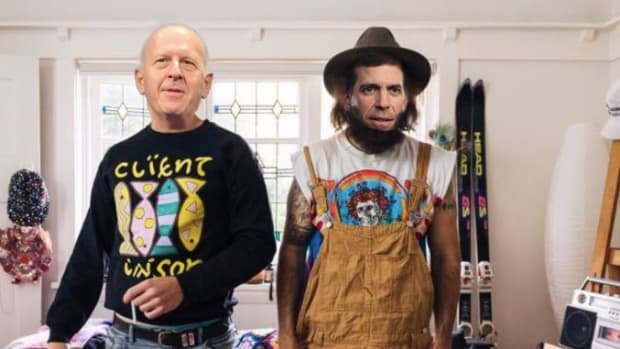 The irony was not lost on some in the market [...] Many investors raised eyebrows at the roadshow&apos;s casual dress code, which explicitly forbade wearing ties. "I never wear one for meetings but I&apos;m thinking of wearing one tomorrow just to see if they actually let me in or not," said an investor ahead of the meetings. You call that a push-up? Bet your girlfriend's new man knows how to do a push-up.